I would like to introduce you, two heroes. Not like Batman or Superman. These ones are for real. They are greatly skilled musicians with big souls and huge hearts. Both of them, Thomas Fridner and Diana Andrén Scarpati, are also my friends and with their new project, that I will tell you more about in this text, they prove to be wonderful world friends as well. I believe that what Thomas and Diana are doing could inspire other musicians but also all kinds of other people in their everyday lives. Giving is receiving! When you are generous and you do something good for the less fortunate in our society, you will get great payoff. Smiles and gratitude that will warm your heart, not only in the now, but also whenever you recall the memories in the future. So for you who appreciate good music with lyrics actually saying something of importance and for you who want to make the world a little bit better for more people on our planet. Relax in your seat! 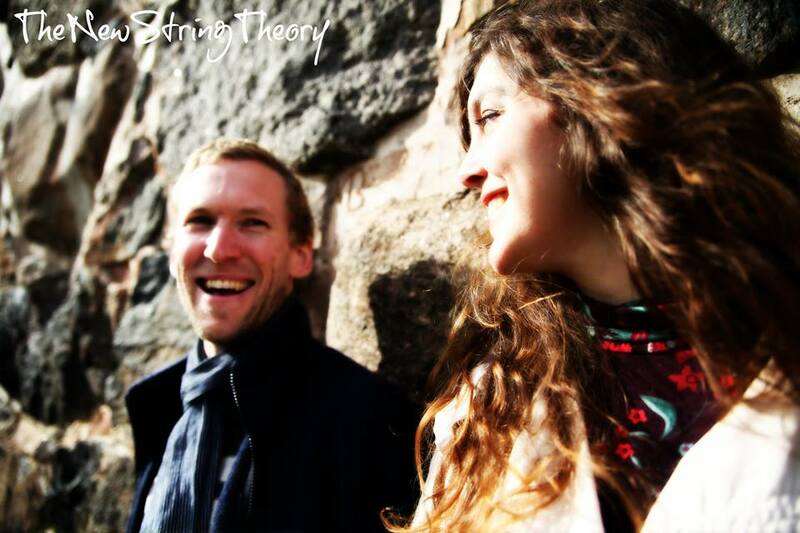 Let me present Thomas Fridner, Diana Andrén Scarpati with The New String Theory and their great cause. I met Thomas during the studies on the Environmental Analyst program at Linnaeus University in Kalmar, Sweden. We share many interests such as Urban Farming, Social Responsibility, Renewable Energy etc… Well, pretty much everything when it comes to Sustainable Development. We quickly became good friends and he introduced me to many wonderful and interesting new people that I´m honored to have as my friends today. One of these lovely people is Diana. She plays the violin, has a beautiful voice… and she smiles a lot! Smiles, happiness and laughter. Yes, we all like that, don´t we?! 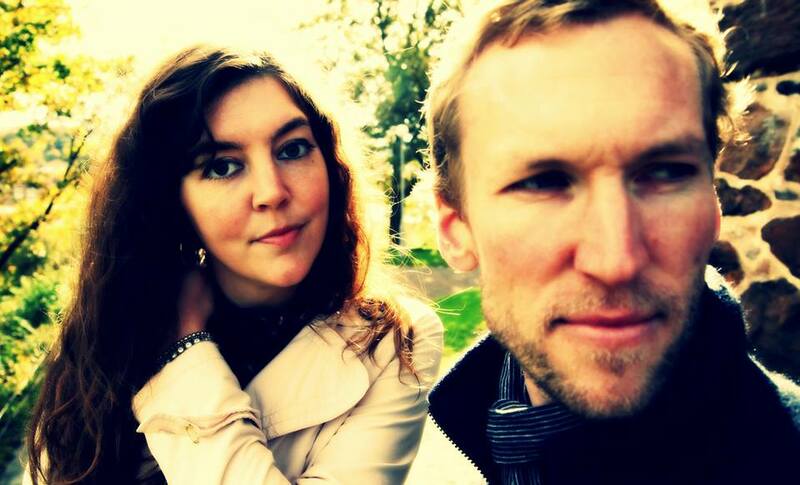 Diana Andrén Scarpati and Thomas Fridner formed the band called The New String Theory in the summer of 2012 in Gothenburg, Sweden. They started rehearsing immediately and arranged songs that Thomas wrote during the fall. After a few gigs in their hometown and in Malmö they started planning for the release of their first album. The New String Theory aims at mixing different styles of music; rock, pop, soul, blues, funk etc… into an acoustic/organic format; expressing dynamics in both sounds and content. Focus lies in the mixture of rhythmic patterns, melodic clarity and lyrical content to create their own unique sound. Since Thomas had written a song about the negative effects of climate change, and how we humans seem to remain helpless in face of this challenge, they decided to release the song AS WE PRAY as a single and let all the money from downloads go to some kind of a concrete cause for the benefit of the climate. They started to search for good things to support. After doing some research to find a valid cause they have now launched the facebook-event “RELEASE for THE PLANET!” where you get to donate to a swedish company called GIVEWATTS by downloading the single. GIVEWATTS provides clean energy to schools and clinics in developing countries, by exchanging kerosene lamps for solar powered lamps. This will help kids to study in the evening and making indoor environments better besides having health benefits and of course less emissions of dirty fossile fuels. Watch the presentation here below! Hehe! I love it! It´s like a meta quote on meta inspiration, but hey, what are good friends for? I´m always super happy whenever I manage to inspire someone to do something smart, good or creative… and to get feedback like this, especially when I didn´t have a clue… but then I remembered our chat a couple of months ago. Anyway, I´m really proud if I can be part of something like this wonderful project. Lets hope it will bring a lot of light in the darkness for many. By the way, my good friend Paul Nelligan, a very clever Irish expat living in Berlin, developed Audiofu, which is a super smart solution for musicians and DJ:s. It allows them to put all their social medias on one platform, making it really easy for all fans and followers to keep themselves updated with all the latest music, videos, info, blogs, events etc… Check it out and tell all musicians you know about it! It´s a must have, very easy to use… and also for free! 😀 For sure it will revolutionize the way they promote themselves! The New String Theory has an Audiofu page! They have now added their Facebook page to the platform, their Twitter channel, as well as their Soundcloud where you can listen to some of their songs. The New String Theory, playing a light bringing melody! 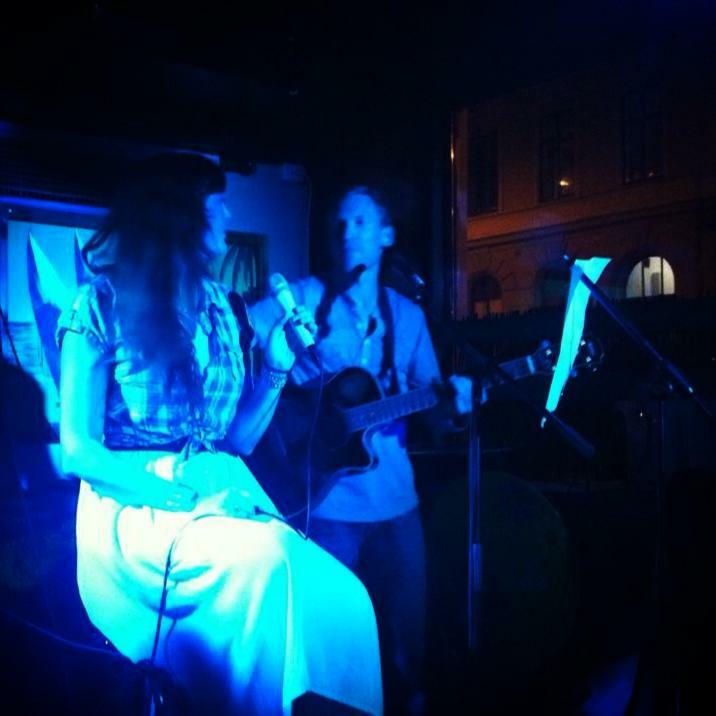 So, 5000 downloads of the song will put solar powered lamps in the homes of 200 families or as Thomas said in the mini documentary: “That´s an entire village!” Let´s wish Thomas Fridner and Diana Andrén Scarpati the best of luck from our hearts! I hope that The New String Theory and GIVEWATTS manage to bring a lot of light to the many people that don´t have electricity. Actually, 1.5 billion are living without grid connection. That´s almost 25% of the world population. You and me have great power in this project. Let´s all make our best we can to spread the word about this! Let´s inspire everyone we know to download the song for only 2.50 dollars or about 2 euros… or the price of a cup of coffee around the corner. 😉 We all have a great opportunity now, to promote a cause that can make big positive impact in the everyday life for many people. The money goes to a really good cause and at the same time we can relax in the sofa, having a coffee at home instead 😉 …listening to a greatly composed song, beautiful singing with lyrics that actually have something to say and that alone, is something we can´t take for granted in these times of modern music, produced for the masses. This entry was posted in Charity, Community, Green Warriors and tagged Audiofu, Diana Andrén Scarpati, Download song for charity, Givewatts, Music, Solar powered lamps, The New String Theory, Thomas Fridner on November 10, 2013 by sustainaboost.